When Grizzelda Gorilla’s colorful parasol is broken in a freak accident, she must turn to an activity she dislikes in order to fix it: sewing. COLOR EBOOK [EAN 978-1-936381-71-5 | ISBN 1-936381-71-0] Available in EPUB and Kindle (color) | Average Price: $3.99 || Kindle at Amazon | Kindle at Amazon UK | EPUB at Barnes & Noble | EPUB at Smashwords | Also find EPUBs at Apple iBooks, Blio, Open Library, Overdrive, Scribd and more. K. D. HUXMAN’s first love, after reading, was space. She wanted to be the first veterinarian astronaut. In college she studied biology and was in Air Force ROTC. After college she became an Air Force officer, but rocketing to the stars was not to be. She married a fellow Air Force officer and settled into raising a family, but never forgot her love of books or science. She earned an MFA in Writing for Children and Young Adults from Vermont College of Norwich University. After traveling around the country with the Air Force, she settled in Colorado. On a clear night she enjoys looking up at the stars, dreaming and writing. She has taught writing at the community college level and worked as an elementary school librarian. 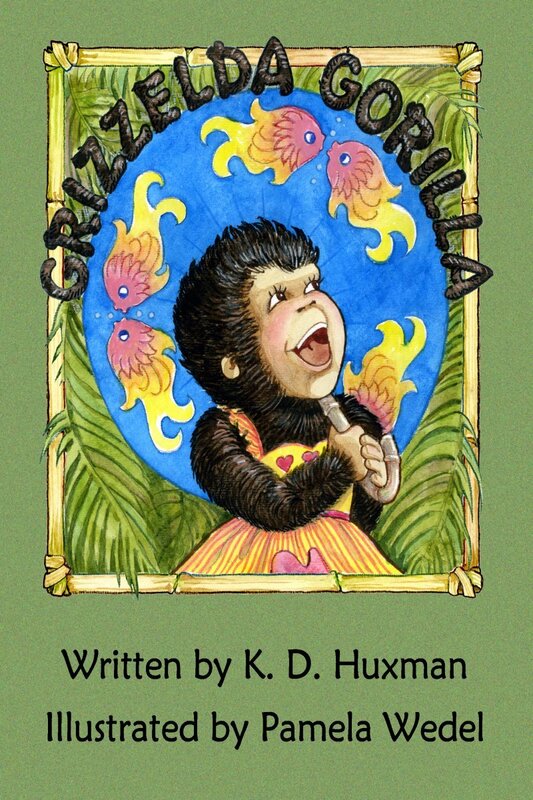 Children’s Picture Book publications include DRAGON TALK and GRIZZELDA GORILLA.